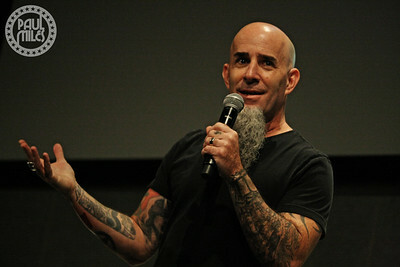 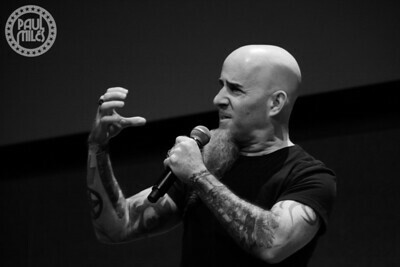 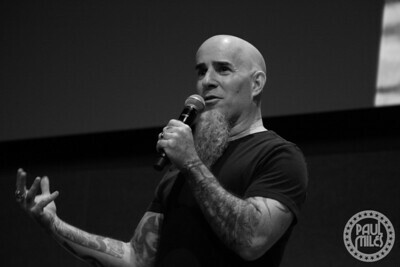 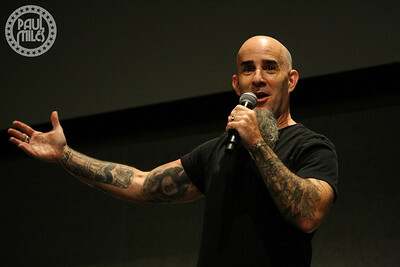 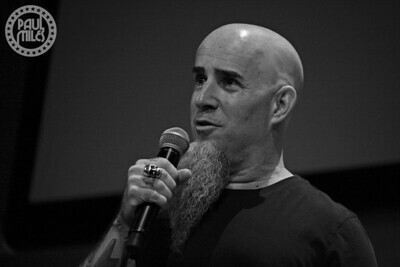 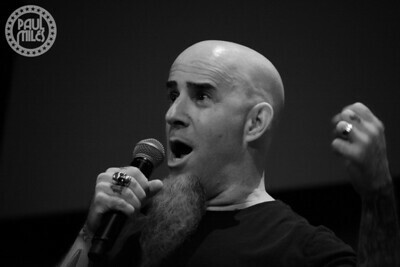 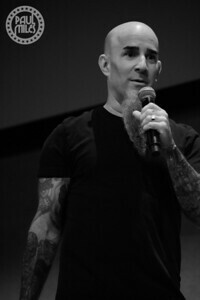 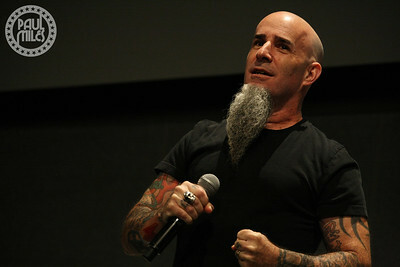 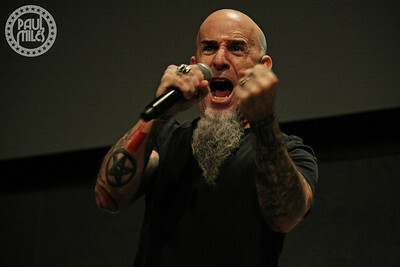 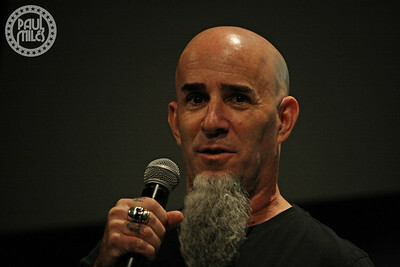 Thrash metal legend Scott Ian held a speaking event dubbed "One Man Riot" at Melbourne's Goldfields Theatre on Wednesday 26 September 2018, as part of his first spoken word tour of Australia. 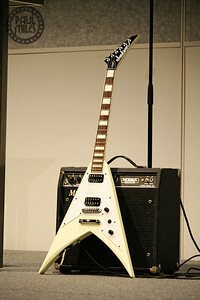 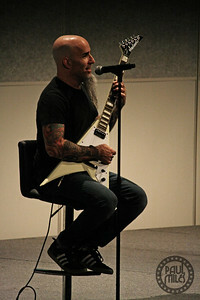 Best known as the guitarist and lyricist of heavy metal band Anthrax, the 54-year-old has enjoyed worldwide sales of more than 10 million with the group he co-founded in New York City during 1981. 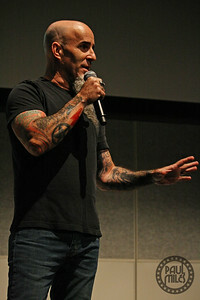 His other band projects include Stormtroopers of Death (S.O.D. 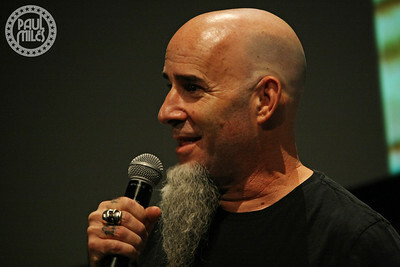 ), Damnocracy, Pearl, the Damned Things, and Motor Sister. 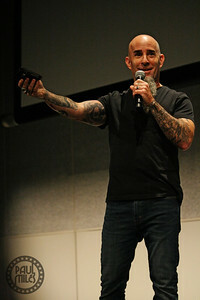 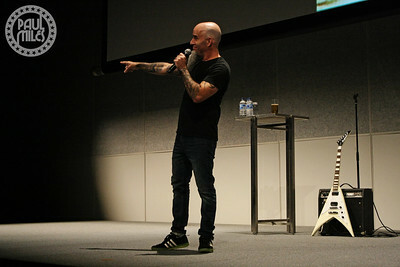 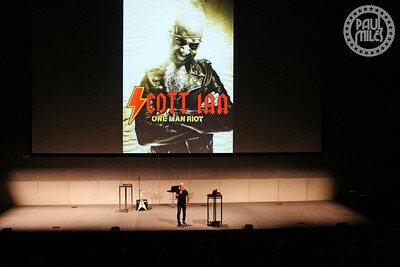 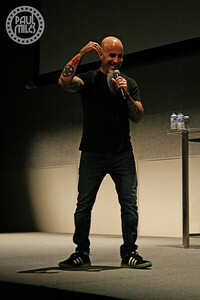 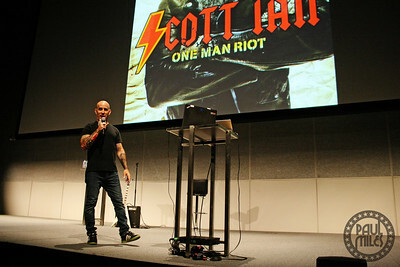 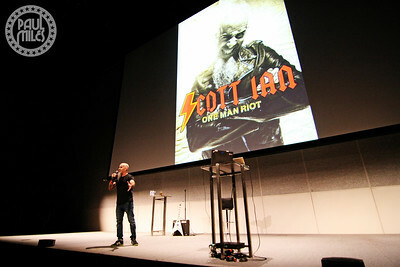 Ian told entertaining tales of his life experiences while touring the world, particularly focusing on humorous encounters with late-great metal icons Motorhead's Lemmy and Pantera's Darrell "Dimebag" Abbott, as he kept hundreds of fans engaged for hours inside the Melbourne Convention Exhibition Centre. 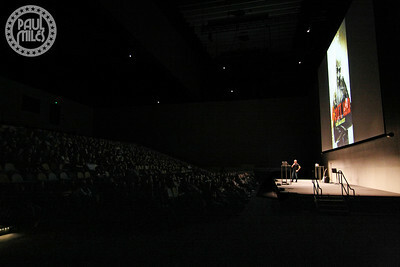 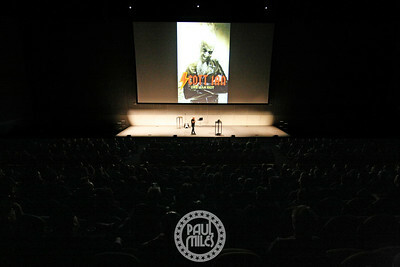 Comic book styled art displayed on the big screen behind him that helped bring scenes from his wild stories to life. 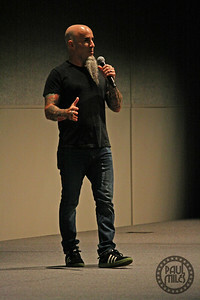 He also included an audience question segment, where he was happy to answer and chat with fans about anything and everything.